So to begin, would it matter if we hadn’t agreed a deal and if when this deal is taken to each of the four local councils for agreement it all falls apart, do we care? Which, let’s face it, given the initial response from some quarters is quite likely. North Somerset have already made it pretty clear they don’t agree and don’t feel their area benefits enough from the deal and the MP for North East Somerset has clearly stated that he is firmly opposed to any such deal with the structure imposed by his own government. One of the important issues to consider here is where else has signed devolution deals. The government’s aim was to have all the Core Cities signed up to deals with a metro-mayor and combined authority in place. So far, Sheffield, Manchester, Birmingham, Liverpool, Newcastle and Cardiff have signed deals whilst negotiations are continuing in Nottingham and Leeds. So if Bristol were not to be part of this process we might well lose out in comparison to other key cities in England and Wales. By lose out I mean both competitively and in terms of perception. So it just might matter, we would lose the extra funding on offer and suffer a further loss of credibility with government, something this area has suffered from for many years. My second question was is the deal worth it? Is there enough in this deal to make it worthwhile accepting an imposed structure that has little support locally (although to be fair there has been little real public debate about this)? The content of the deal covers transport, housing, planning, skills and business support, key issues that arguably need a more strategic approach, across local council boundaries. It brings in extra resources, around £30m a year for thirty years and extra powers to decide things locally around transport, adult education and employment support. It also opens up a more positive dialogue with government about future powers and resources, that might not be on offer otherwise. So in terms of the first two questions then I can understand why the deal has been done, we don’t want to lose out and this is the only option on offer, so we probably do need to be part of it. The question of structure seems to be the one everyone is focused on. Is a metro-mayor right for the West of England when we already have a Bristol mayor? Is a combined authority needed? To some degree the question is pointless as Osborne made it very clear from the start of this process that devolution deals for cities would have to agree to this structure, it’s an issue that didn’t appear to be up for debate. So if we want the deal we have to accept the structure. Whatever the rights and wrongs and irony of a devolution process that imposes a structure, that is all that’s on offer. Other cities have been equally reticent about agreeing to the idea of a metro-mayor and combined authority, but in order to progress their devolution deal they have accepted it (reluctantly) as part of the process. It seems we will have to do the same. Personally I think there are some merits in the approach and would certainly advocate the need for a combined authority. Whilst we have had an informal structure for some time, it is less than effective. At the moment, decisions made by the LEP or Strategic Leaders Board have to go back to each of the four local authorities for formal approval, a process that can take months. So a formal structure that cuts out that process has to be good for speeding up decision making. It will also have a focus on strategic issues, something much needed round here. The issue of a metro-mayor is perhaps more controversial. How would this strategic mayor work with the Bristol mayor? Would there be overlaps of role and confusion as a result? I’m not against the idea personally as I believe that two strong leadership roles promoting our city and city region has to be a good thing and can only benefit the area in the long run, but I can understand why some might be opposed to it. My final question was about what’s missing from the deal, what more could we have included if only the process had been a little more collaborative, open and transparent? The point about transparency came through very strongly in relation to some research I was involved in as part of a Political Studies Association Research Commission which looked at informal governance as part of the devolution process. The research found that many areas had very real concerns about the lack of openness during the process and the lack of engagement of other politicians and stakeholders was a concern that those involved thought might lead to problems later on. The issue here is about ownership, if you don’t involve people in the process they don’t have any ownership of the output. So one would expect some local politicians, as elected representatives, to have concerns about the content of deals and the process by which they have been agreed. For me it also seems a shame that the process excluded people who might just have provided some interesting and useful ideas to the content of bids. Looking at the issues that really matter in the West of England and those that need a level of strategic thinking to provide workable solutions, then the bid covers the most obvious broad areas, although health is currently missing from the equation. However, when looking at what is contained one could ask a few questions about how limited the content is. Why haven’t we been more bold in our asks? If I just look at the whole issue of housing, a major problem in the West of England that we have failed to address strategically for many years. The proposals in the deal are based around a fund to support infrastructure, stronger strategic planning powers and development corporations to overcome barriers to development. These seem pretty good on paper and the infrastructure fund is certainly to be welcomed, providing additional funds and also long term certainty against which borrowing can take place. The notion of Mayoral Development Corporations is an interesting one. Bristol doesn’t exactly have fond memories of its own Development Corporation. But if these can help to unblock strategic sites to deliver housing then it’s a good call, as long as the process doesn’t trample all over local representatives and local communities as their predecessors did. But what else could have been included to help deal with the housing crisis in our area? Is there much that local councils can actually do given the central policy we are working within? Well, yes maybe. All you have to do is look around at some of the innovative ideas being tried elsewhere to see that there are other options. How about asking government if we could suspend the right to buy on council properties across the patch or in certain areas, or even just for new build council housing? Why not, parts of Wales have? How about taxing developers for stalled sites, charging them a tax on unbuilt properties, could this have been included? What about commitments to use more public land to build affordable and social housing, releasing councils from the need to secure the best price for land? The problem with many of these devolution deals is that they have involved a small number of people in a rushed process, so has been little time for creative thinking or even the sharing of ideas. Maybe, now the deal is done, other things can be added? I’ll end on a final note that has bugged me all throughout the process of debate about devolution in the West of England and that is the constant reference to recreating Avon. As far as I can see we are not setting up a County Structure with politicians and officers in a massive bureaucracy. What is proposed is one additional politician – the metro-mayor, and some form of supporting infrastructure around a Combined Authority. Perhaps for the purposes of debate it would be useful for our political leaders to elaborate on this and share thoughts on what that structure might look like, how many people (if any) it would employ and how much it would cost. All this talk of Avon makes people think about something very different and expensive, instead we should be thinking about a new structure that can help strategic delivery. The Bristol Mayor – You know it makes sense! As the first Directly Elected Mayor (DEM) for Bristol enters his third year of office, what can we say about this new role and the changes we have seen during the first two years? Has it worked, has the role made a difference? To some degree it depends on your starting point. If you were one of those who supported the idea of a DEM and voted Yes in the referendum, and/or voted for George Ferguson in the election then you are likely to be more positively disposed to both the role and the incumbent (or at least I would imagine that to be the case). Those who voted No in the referendum and were opposed to the role of a DEM for Bristol and/or subsequently voted for another candidate in the election (or didn’t vote at all) may well be likely to look for more negatives and be more critical of the system as it is working now. It is difficult to be objective when you start from a particular position. Equally it is highly likely that you were one of those who didn’t vote in the referendum and didn’t vote in the subsequent election, one of the majority in fact? So whilst the political elite and the powers in central government believe DEM are an important issue in terms of how our cities are run and managed, local people seemed to be less than convinced, either by the proposals at the time or more likely were just disillusioned with the political classes generally – “they’re all as bad as one another” or “they’re all the same” being an often quoted reason for not voting. It seems to me that the idea of a DEM before the experience of one was not enough to convince people it might be a solution to the negativity and disinterest surrounding local democracy – it didn’t catch on with most of the public, wasn’t interesting enough or different enough? It will be interesting therefore to see in 2016, when the Bristol Mayor is up for election alongside all 70 local councillors, whether or not people have been more or less convinced by the experience of having a city mayor, how the role works and what difference it makes. One thing is clear, George Ferguson is far more visible as a council leader and champion for the city than any other recent leader of the council. 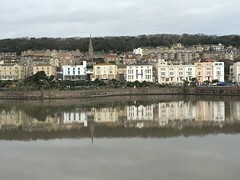 This view is supported by the work of Bristol University and UWE in their research on civic leadership, which clearly found that the mayoral model in Bristol provides high profile, visible leadership. But is visibility enough, what more did we expect from this new role? Issues and benefits of the role talked about at the time of the referendum included, clarity of decision making, more power and resources to come from government, ability to take the difficult decisions and ability to be more strategic and develop longer term plans because the role was not tied to the annual election cycle. So have we seen a difference in relation to any of these issues? Has George Ferguson delivered on any of these aspects any better than the council and party leaders have in the past? At the time the arguments for a DEM were quite compelling – we’d get more power, more money, more responsibility locally as a result of going along with this government promoted strategy. The practice however is less compelling, have we really done better than any of the other core cities when it comes to devolved power and additional resources – from where I’m sitting it doesn’t look like it. In fact other cities are now beginning to steal the march on us – Manchester with it’s combined authority and the promise of a metro mayor, Leeds and Birmingham likely to follow soon, all look set to achieve more. So what difference has having an elected mayor really made to Bristol, beyond increasing the visibility of the role and the city, which are major achievements in themselves, but is that all we can expect? Which brings me to the Mayor’s Annual Lecture and State of the City address. 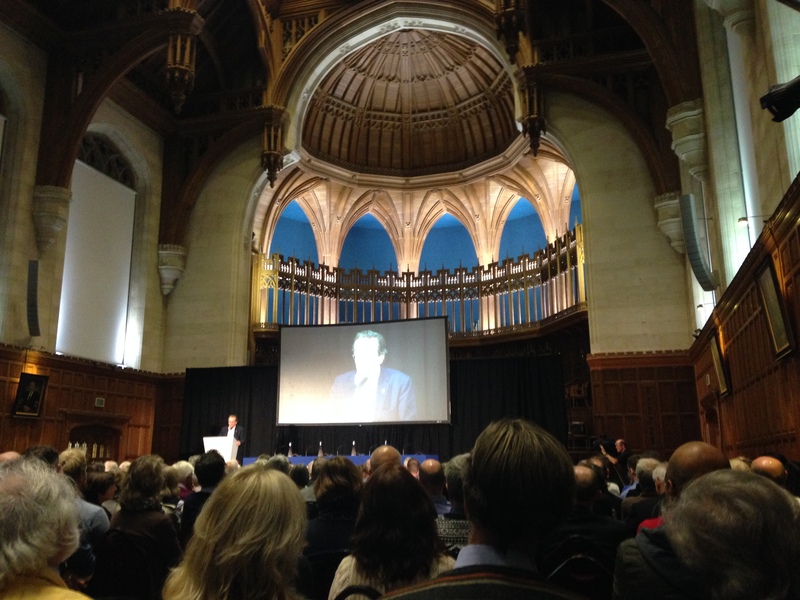 Around 900 people gathered in the Great Hall at the Wills Memorial Building last night (10th Nov) to listen to George’s second annual lecture, and I was amongst them. Overall what we got was a speech that delivered many of the right statements, rhetoric and promises but was a bit light on detail and actions – probably to be expected of these kind of events? George opened by talking about his commitment to turning promises, hopes and aspirations into actions, all very commendable, but has he delivered on that? He talked about raising the profile of the city, attending lots of meetings and events all over the world and about the leadership role which he admitted he didn’t always get right. He also talked about Bristol as a prosperous city but also a city of contrasts, where not everyone feels the benefit of progress. There was a clear recognition that whilst we can hail and promote the success of Bristol we also need to recognise that in a prosperous city those with less who do not benefit from this prosperity are relatively poorer. Again, the rhetoric was certainly there, but what of actions? I was less convinced when it came to understanding quite what we were going to do differently to address problems of inequality, the detail was certainly lacking, although reference was made to the Mayoral Commissions, including the Fairness Commission and the need to take on board their recommendations. George talked about housing, transport, jobs, economy and infrastructure, including some big projects like Filwood Green Business Park, Temple Quarter Enterprise Zone and of course, the Arena. Decisions about transport have probably created the greatest controversy in Bristol so far during George’s term of office, with residents parking and 20mph zones generating the most debate and criticism. I’m with George on the notion that he is there to take the difficult decisions and to make things happen that other leaders have been to hesitant to implement, and I’m with him on the need to do something about traffic and congestion. But I do think he has shied away from some of the tougher options, like Workplace Parking Levy and Congestion Charging, both of which could bring in the funding needed to pay for a real tram scheme in Bristol and which could make the biggest difference to congestion and air pollution in the city. These are difficult issues and challenging for business but need to be put back onto the agenda as part of a longer term strategy that puts people first in terms of accessibility rather than cars! Sadly on many of the big issues raised there were few solutions and little detail offered. I was left feeling like things hadn’t really moved on much from last year’s speech, but maybe I was expecting too much. One area where we did see some real commitment was on the issue of devolution and the need for a combined authority for the Greater Bristol area. George threw down a challenge to his fellow leaders across the West of England, making it clear that there is a window of opportunity there for the taking, if we don’t gear up for this change it will be a major opportunity missed for the area and we’ll lose out compared to other cities. The changes proposed in Manchester are likely to be followed up in the Chancellor’s Autumn Statement, with new powers on transport, skills, homes and strategic planning all available if only we can get our act together round here. This means going beyond the trite statements about ‘working together’ that we all too often hear from council leaders in the surrounding authorities and instead those leaders need to accept that being part of a Greater Bristol city region is the way forward, with clear commitment across party lines and artificial boundaries. As George said – “You know it makes sense” – a good note to end his speech on! Overall I was left feeling rather conflicted, positive about some elements of the debate and uncertain and unsure about other elements. The mayoral role has helped but not enough, yet? For me we are still stuck on short term plans and spend too little time on longer term, strategic planning. We try to affect the here and now, but ignore the bigger issues. We also pander to government initiatives rather than trying to impose our own agenda. I would like to see the promise of this new role pushing our city agenda with government rather than merely responding to government agendas and funding rounds – with a clear, long term plan, addressing the key issues locally we would have a platform to approach government from and a local agenda to pursue. The next year or so will be critical if we are to see the real change having an elected mayor could bring – over to you George to lead the way! For various reasons I’ve been thinking a bit about vision and what it would take to actually make a difference to the way our city works. Now that’s a huge question and one that is way beyond my capabilities, but just thinking about it did remind me of a couple of issues that I’d been meaning to write more about. South Bristol has an accessibility problem and it’s a problem that the South Bristol Link and the Hengrove to North Fringe BRT or Metrobus routes are unlikely to solve. I have on occasion questioned the lack of clear vision or any kind of strategy for South Bristol from either the council or the LEP, so perhaps it’s time to offer some solutions or at least some positive ideas, and there are many of them around. Equally, some of the issues I am about to raise I know are just as relevant to other parts of the city, so maybe this could help to spark a bit of a debate about wasted land, or access improvements or quality in the design of spaces and places across the city. But my focus is South Bristol because that’s the bit of the city I know best, I lived there for over 20 years, represented 2 wards in the area and worked there for quite a while too, so it’s the area I have the most affinity with. 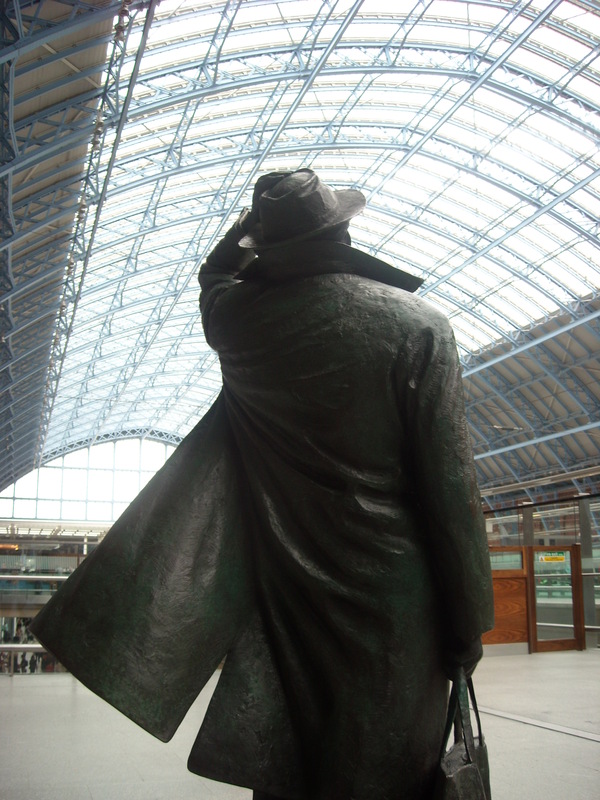 I’m going to take you on a journey out to Hengrove and along the way identify 3 key areas where vision is definitely needed and where some creative thinking could really change the way we view this journey and our perceptions of the area. At the moment, travelling over the Cumberland system, with its congestion, dual carriageways and high level roads into Winterstoke Road is not the best of journeys but is one of the main routes out to South Bristol. I’ll leave others to talk about just how much we could do with the whole Cumberland system if only we could bear to take road space away from cars and redesign the area completely so it works for people at a human scale, and instead will focus on the bit once you leave the system. So, my first area of focus is the bit from Ashton Gate to the Parson Street Gyratory system – the tin shed land that is Winterstoke Road. Now I’m sure when first developed it served a purpose and was the right thing to do (or maybe not), but looking at it now, much of it is very dated, some is empty and it is certainly one of the biggest wastes of space I can think of this close to the centre of the city. The density levels are incredibly low, the amount of space given over to tin sheds, warehouses, out of town shopping and car parking is stunning in its stupidity. Think what could be achieved here in terms of affordable housing and community facilities if only we didn’t just look at empty land for development but also considered underutilised land. Think also how different this area would look if it was redeveloped and how the journey through it would be different if the spaces were better used, with quality design, higher density, spaces for people and community infrastructure as well as new housing. The next part of the journey brings you to Parson Street, that fantastic traffic engineers dream, and everyone else’s nightmare. The one-way system here is a constant source of congestion, conflict between road users and a nightmare for all concerned. It is one big traffic island which effectively acts as a gateway to South Bristol but lacks any quality, design or impact in a positive way, it’s just a barrier or hurdle car drivers, pedestrians and cyclists alike have to navigate. How different would your journey through this area be if it were totally redesigned, if the railway station were opened up and made more accessible and noticeable, with proper entrances that actually make you want to use them. 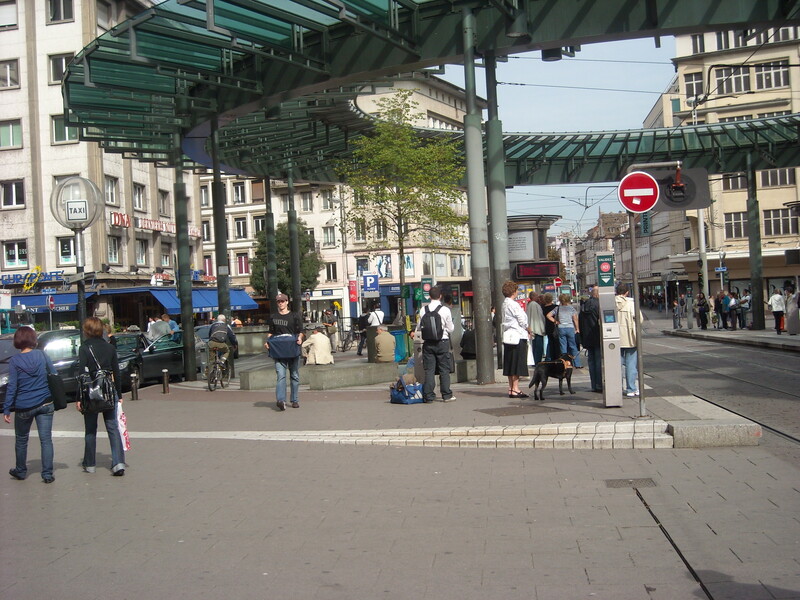 Imagine there is no one-way system but the whole space is redesigned as a transport hub for buses and rail users, pedestrians and cyclists and the route for cars is improved. I’m sure the engineers out there will tell me it’s impossible, as they often do, but my view is we should find a way, it’s a critical barrier at the moment to the notion of improving accessibility to and from South Bristol, it’s also a serious waste of space where we must be able to do so much better. And what about the school, the most polluted in the city because it sits on a traffic island – surely we can do better than that? The final part of the journey takes you along Hartcliffe Way to the Hartcliffe Roundabout and the edge of Hengrove Park. Now this is a seriously underutilised area if ever there was one. Much of the land is in council ownership and so much more could be done, but the desire, vision, and strategy just doesn’t seem to be there. It’s not attractive to developers, partially because of the accessibility issues and partially because of the perception of the area. But if we make the other improvements discussed above maybe some of those perceptions will change. Just maybe we need to broaden our thinking in terms of how we look at the issue and see development of this particular area as part of a grand plan for South Bristol as a whole, with a focus on that journey route and providing interest and quality along the way. If you could use the roundabout and edge of Hengrove Park to create a destination, to do something bold and visible you would know you had arrived somewhere. Most of the discussion to date seems to have been about how we get people from South Bristol out of the area to jobs, shops, leisure etc. Very little has focused on creating a destination in South Bristol, to bring other people in, to create that extra vibrancy and energy that other areas of the city have, to provide houses, jobs and spaces that people want to use and be part of. My question to the people that make decisions in this city is – why not, why do we dismiss South Bristol so easily, where’s the vision for the area and how can we make it a destination of choice? I know others have identified similar types of spaces in East and North Bristol, where land close to neighbourhoods and the city centre is underused and undervalued, but could provide so much more. Wouldn’t it be good if we could get some consensus on key spaces and potential new uses to bring these areas back into effective and quality use that Bristol deserves rather than hanging on to existing uses that are no longer relevant or desired? Do you have a list of these types of spaces that no one uses or cares about? Where are they and what would your priorities be? Let’s get the debate going. Bristol deserves better – why do we always settle for second best? It’s just a feeling, but how often do you think Bristol settles for second best? Do we accept something because it’s better than nothing and do we grab at things because they are on offer from Government and we don’t want to lose out? It’s a feeling that I haven’t been able to shake off for the last 20 years, ever since I stood for council in Bristol and was elected for the first time (I was a councillor in Bristol between 1994-2002). My involvement as a councillor meant chairing and being part of planning committees in Bristol and seeing the way officers and other influential people/groups in Bristol were involved in decisions that have an impact on all of us. I was involved in some good decisions and some bad ones, resisted many that I thought were wrong and both won and lost battles, but the one thing that always comes back to haunt me was the constant feeling that officers, business people and others seemed prepared to accept what was on offer even if it wasn’t very good, rather than fight for something better. I can’t remember the number of times I was told “if we push for more change and improvements they’ll walk away” or “if we don’t do it like this we won’t get the money” and frankly not much seems to have changed in the 10 or so years since I quit the council. Bristol still settles for second best! I’ll give a couple of examples, that will no doubt wind a few people up, but there you go. I’ll also point out that this isn’t just the benefit of hindsight, many of these points were made before decisions were taken. Equally, I am sure others can come up with many more examples and not just planning ones which are most obvious, but other areas of life where we just don’t achieve what we could for Bristol? I should also add, that there are of course some excellent examples in Bristol of where things have worked well and we have many good schemes where public and private sectors have delivered something good for Bristol. This is not just meant to be about negativity, it is meant to be a question about aspiration and why we should seek to do better rather than settle for what we can get! 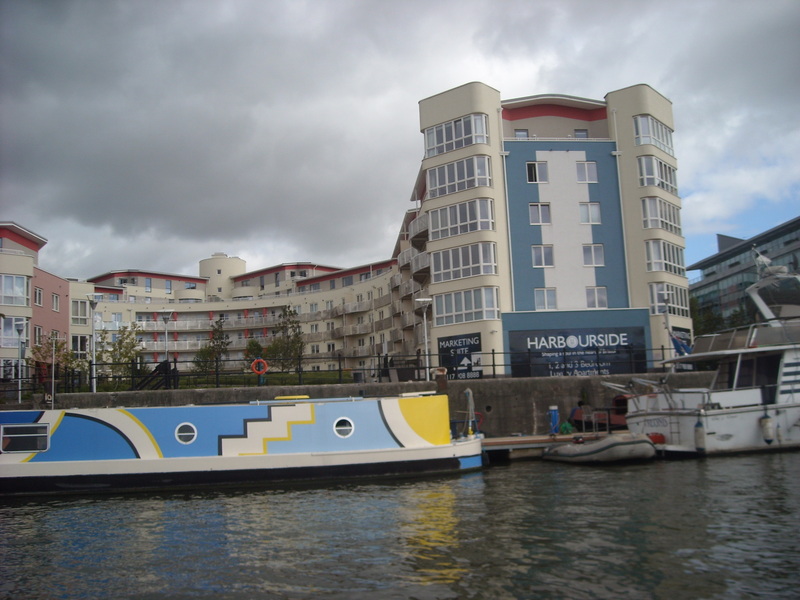 Firstly, Harbourside and the development process that left us with an urban landscape that few could hold in high regard. Yes some of the existing waterfront around Watershed/Arnolifini/Bordeaux Quay is good and yes I’ll accept that Millennium Square works, but the rest of it, developed by Crest Nicholson and others, is that really the best we could do for Bristol? I was one of those who led the revolt against the first planning application submitted by Crest for Harbourside, along with Labour colleagues Andrew May, Dave Johnson and Kelvin Blake, and the Liberal Democrat councillors on the committee we managed to get it thrown out (with a lot of public support from many in the city). But if you think what we have now is bad, you can only begin to imagine just how much worse it could have been. I remember the pressure we faced before, during and after that committee meeting, from officers, business people and other politicians and the most common argument was – it’s better than a derelict site, it’s an expensive site to develop, it’s the best we can hope for – all it seems happy to settle for second best. After the refusal, we entered a long process of debate, discussion and negotiation with the developers representatives and planning officers about what needed to change, we wanted something at a more human scale, that related to the water better, that had ground floor uses to create lively space at all hours; we wanted houses not just apartment blocks and we wanted greenery and water throughout the development to bring it to life and make it feel welcoming. All reasonable requests and options, and actually the new architect brought in to respond to the discussion, Ted Cullinan, seemed to get it and draw up some plans that seemed to respond to much of what people wanted. These were of course amended but what was resubmitted to committee and finally approved was a whole lot better. So how did we end up with what we have now then, you might well ask? I can only guess that in detailed permissions, the developers came back with amendments that were either approved by officers or by new committee members not involved in the original discussions, because I for one do not recognise what is there as having much at all to do with what I argued for and thought we had approved. Again, we seem to settle for a lot less than was possible and a lot less than Bristol as a city deserved. At the time the debate was complex and difficult, but a core group of us were very clear about what was needed and did everything we could to make it happen, but it seems that this just wasn’t enough as final decisions were taken somewhere to once more reduce aspirations to a base level that screams of “at least it’s better than a derelict site”! I remember George Ferguson submitting an alternative scheme for harbourside that reflected all of the points we were making and which would have created a sustainable, human scale development that reflected Bristol and its connection to the water; sadly the landowners and business interests were not as taken with that option as we were, even though we willingly gave it planning permission. So we end up with what is there now, which I am sure few of those involved can really have that much pride in, although many in the business community still talk about it as a success? My second example, the Bus Rapid Transit Schemes! Yes, I know, much maligned by some and supported by others, and much debated. My view here is that once more we are settling for second best, because we don’t think we’ll ever get a tram system in Bristol, so we better accept whatever it is that we can get funding for and just hope that works. Manchester, Sheffield and Nottingham, amongst others, all have trams but apparently it’s out of reach for a prosperous, wealth, growing city like Bristol? 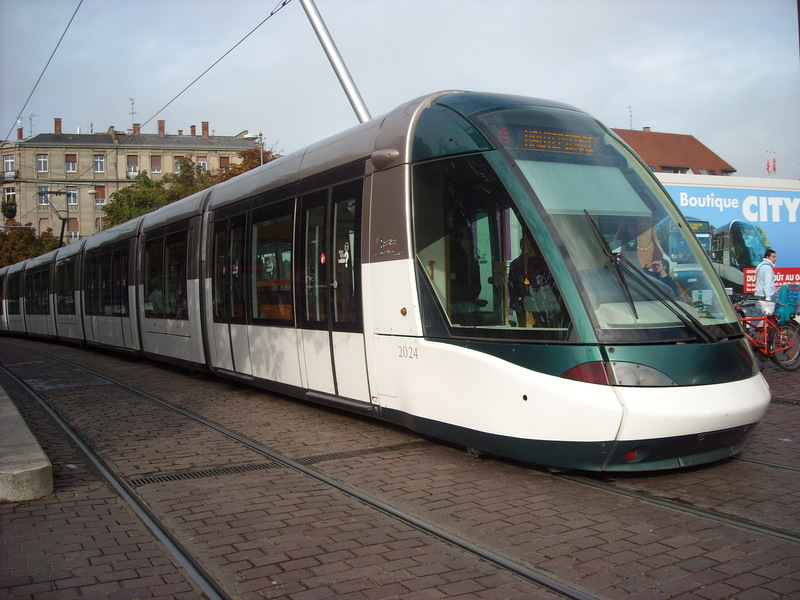 So instead we bid for and get funding for BRT, along routes that defy logic in places and certainly are not popular with local communities and we give up on any notion of ever having a tram – really, when did we get to the point of lacking so much vision or aspiration for Bristol? When all is said and done, BRT is just a bus, a nice bus and a modern bus, but it’s a bus, some of which will run along segregated routes, some of which won’t. Will it encourage all those committed car drivers out of their cars and onto a bus, I remain to be convinced. But as we keep being told, if we don’t just go along with it, and stop questioning, we’ll lose the money! Personally I’m not overly bothered about losing money for something we don’t really want and which may not make much difference anyway – a potential waste of money that we will just replace in years to come with a tram! But the main point to make here is that now we have an elected Mayor, apparently much in favour with Whitehall and Westminster, shouldn’t we stop settling for second best and start pushing for what we really want? Shouldn’t we be thinking long term and more strategically? What are the big changes we can really make happen – could we draw up plans for a tram system and go to government with that? could we imagine in 10-20 years time starting again on areas like Hengrove Park and Harbourside and doing it properly this time? could we imagine some proper planning for key areas of our city? I’d like to think so, but over to you the decision makers and influencers – will you make it happen and how can we help? City Mayors or LEPs – who decides? Following on from my last blog about the need for LEP Economic Plans to take note of poverty and social inclusion issues it seems timely to consider the role of LEPs. From many of the comments received in response to that blog (for example on LinkedIn discussion groups) there appears to be a view that LEPs are there to create jobs and that others should be (and are) responsible for thinking about difficult issues like addressing poverty. Indeed, if you consider that LEPs are supposedly business led and their focus is on jobs growth and GDP growth, then perhaps it is wrong to assume that they would have anything to say about social inclusion or how the jobs they create could be made more accessible to those most in need. Personally I disagree, but clearly there is some opinion out there that says LEPs are small organisations with limited funds and staffing so their focus should be on core issues in order to actually achieve anything. In my view, this brings into question the whole issue of why we need LEPs, what their role is and why, particularly in cities, they are the right vehicle to deliver on economic growth in isolation. You could level these questions at various aspects of the role of LEPs by asking why they were set up in the first place – was it because the current government had such a low opinion of local authorities that it thought this was a better solution, and they were of course desperate to get rid of the Regional Development Agencies, so had to replace them with something? Or was it because they thought business could do a better job of deciding where investment in roads, buildings and other development should be? You could equally argue about he negative impact these types of quangos have on democratic accountablity, taking decision making away from locally elected politicians and putting it in the hands of appointed boards full of business people who are accountable to no one. Add to that issues around what role local communities have in LEPs and how they can engage with these quangos and their plans and it begins to create an interesting but perhaps negative picture. Perhaps more importantly, the question that springs to my mind is about LEPs and city regions – when we have combined authorities working across some of our key cities and their hinterland and we have directly elected mayors in some of our core cities, how does this work when you also have LEPs, sometimes covering different spatial areas? Add to that the issue about whether or not you can really consider economic growth without serious attention to issues of poverty and social inclusion (and of course environmental sustainability) then you can see the landscape of decisions, plans and strategies becomes somewhat cluttered – who really holds the power and makes the decisions? The recent launch by the Centre for Cities of their Think Cities initiative which sees cities as the focus for change and believes empowering cities as the mechanism to tackling a range of urban issues is critical and you can begin to imagine just where some of these clashes and tensions may occur. I can’t help but agree with the Centre for Cities, cities are where the most significant growth will be seen and where the greatest changes can be made to provide solutions to our biggest problems around housing, jobs, public services and skills. But where city authorities have to compete with, or operate through, LEPs this is bound to reduce impact, increase confusion and complexity and water down ideas and change. When you have to get agreement from other councils to every decision, plan and strategy, then too often the lowest common denominator is what you end up with. 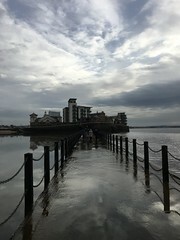 The idea of directly elected mayors was to create accountable, visible leadership in an area, but by introducing LEPs into the equation the government have significantly weakened the ability of those mayors to deliver on ideas and innovation because they are effectively working with one hand tied behind their backs. But even ignoring the fact of added confusion and complexity, what about the functions and roles of LEPs, what are they there for and why are they supposedly best placed to deliver on local economic growth? LEPs are charged with providing “strategic leadership on local economic priorities” including planning, housing, transport, skills, jobs etc a pretty big agenda, but when you consider they were set up with little or no funding, have few staff and limited resource, you have to question whether this is just too much? Would they be better focused on areas that clearly require significant input from business, such as the skills agenda and business support? Why should they be responsible for planning or housing issues when these have been core local council domains in the past, and indeed many would argue, should continue to be led by those with the democratic accountability rather than those with potential for conflict and vested interest? With a reduced role focused on business support and skills I could see a key role for LEPs working across larger geographies, supporting the work of city authorities to deliver on jobs, housing, planning, social inclusion and sustainability (amongst other things). But their current diverse role is clearly too much for many LEPs to grapple with and we are in danger of missing some key links across agendas and of delivering on very little, as we stretch LEPs beyond their capabilities and abilities. This should be an important issue for Party Manifestos going into the 2015 election. If we are being encouraged to think cities, then we need to address the existing landscape of decision making to properly put cities at the forefront of our economy. For me that means that, at least in city regions, there is no place for LEPs. South Bristol Link – Last Act or Final Curtain? And so, momentum is once more building on the South Bristol Link. And the same old arguments are coming out from the same old sources, when to most of us it is an old solution to the wrong problem. It is very clear that this a solution borne more from the existence and availability of a government funding stream than any real consideration of what South Bristol really needs or indeed wants. Politicians are warned constantly that they need to support this, and the other BRT schemes, otherwise we’ll lose the funding – so we end up with imperfect schemes and so called ‘solutions’ that don’t even begin to address the real problems, all because we are too scared to admit we got it wrong and because people don’t want to be accused of losing us government money. I despair, I really do – how can our politicians, councils, LEP and businesses be that short sighted. Do they really believe that building a road with no beginning and end will sort out the problems we face in some areas of South Bristol, a road that essentially goes nowhere. At best it will help a small proportion of residents in South Bristol to move around the area better (by car) and at worst it will destroy communities and cut neighbourhoods off from one another. Remember, we are not talking about a residential road here, we are talking about 4 lanes of motorised traffic, 2 bus lanes and 2 car/lorry/van lanes being ploughed through what was once a residential street – see diagram below borrowed from the TravelWest website and compare it with the one below that, King George’s Road as it is now (from the Evening Post). How can anyone see that as an improvement and a benefit to local residents? This scheme has been voted out on many occasions in the past, indeed I remember voting against it at least twice when I was a councillor, because the harm it will do to South Bristol and its communities is far greater than any perceived benefit. The road will bring thousands of jobs, it’ll help open up South Bristol and better connect people to where they work, least that’s what its supporters say. But quite how does a road do that? Thousands of new jobs will, we are told, be created by unlocking South Bristol. So a road that goes from the Long Ashton Park & Ride to Hengrove Park, across greenbelt land and through residential roads and green space will somehow bring jobs, and thousands of them at that! Quite where or what these jobs will be is unclear. Do the plans for the road include plans for new development – NO. Do the plans for the road include new business or office parks – NO. So how will this bring thousands of jobs to South Bristol and where will they go? It’ll open up South Bristol? Well it might provide a better ‘rat-run’ for commuters from the Chew Valley and from Keynsham/Bath area to race through South Bristol to get to where they work and yes, ok, it might just help some residents get to the city centre or North/West of Bristol. But the benefits to South Bristol residents and communities are at best marginal. What would help far more to address the problems of access to South Bristol would be a complete redesign and reconfiguration of the major bottleneck that is the Parson Street Interchange and Winterstoke Road traffic chaos. That’s the main access point to South Bristol and that’s where the problem is. Why not focus on that, or is it just too difficult? There will of course be one area that benefits from the road, not the bit that goes through South Bristol, but the bit that provides a link between the A370 and the A38 and that is where most of the support for this whole road comes from – the residents of Barrow Gurney, who at long last will get their by-pass. Not something to be dismissed lightly, a solution to relieving the pressure on Barrow is certainly needed, but why make the residents of South Bristol suffer by building the rest of the road? I’d support a Barrow by-pass but not as part of the South Bristol Link. North Somerset Planning Committee are considering this today (7th November) and Bristol Council will consider the planning application later this month. I for one hope they turn it down again. I hope this is the final curtain for this scheme, but sadly, I think the pressure not to lose funding will prevail and the wrong decision will be taken for all the wrong reasons with this being the final act that sees us lumbered with a road to nowhere! Update – North Somerset Planning Committee approve the application by 10 votes to 5. Next up Bristol S&E Area Planning Committee on Nov 27th.